January 2004, Cambridge University shelves plans to build a multi-million pound primate facility due to spiralling security costs. SPEAC (Stop Primate Experimentation at Cambridge) and the ALF (Animal Liberation Front) both claim this as a major victory after a concerted campaign of intimidation, harassment and violence. Shortly after, Oxford University begin work on a new Biomedical Facility which will replace a number of older labs dotted around the University. The new building will offer better facilities for scientists, and improved housing for the animals within. SPEAC, under the new name SPEAK (apparently SPEAO didn’t have the same ring to it), along with the ALF, make Oxford University their new target. A fresh wave of violence forces the original building contractors to pull out in July 2004, and construction is halted for 6 months until a new, anonymous, contractor is found. In October 2004, the Save the Newchurch Guinea Pigs (SNGP) campaign, against a family-run guinea pig breeder, peaks when the Animal Rights Militia (ARM) dig up and steal the remains of Gladys Hammond, mother-in-law of one of the owners. This is a new low for animal rights extremists, and a major turning point in the public perception of animal rights groups. 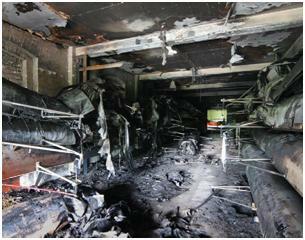 In July 2005, Oxford students are rocked when an incendiary device containing approximately 3 gallons of gasoline is set off inside the student-run college boathouses causing approximately £500,000 ($1,000,000 in 2005) worth of damages. Over the next six months more bombs are planted in colleges and under cars, while students going about their daily university life are shouted at and harassed by animal rights activists standing outside the science area with megaphones. 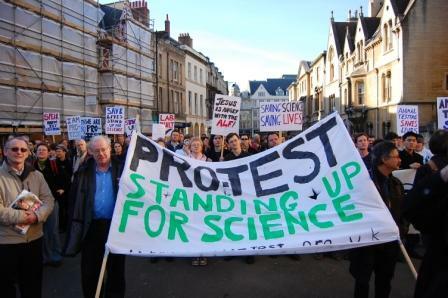 A climate of fear and intimidation descends upon Oxford University. January 2006, Laurie Pycroft, a 16-year old from nearby Swindon, is walking through Oxford during an animal rights demonstration. Frustrated by the lies and tactics of animal rights groups he buys a pen and paper and creates a small sign saying “Support Progress: Build the Oxford Lab.” He receives a torrent of abuse from the demonstrators and some encouragement from passersby. Days later he announces his intentions to hold a rally in support of the lab, and in defense of life-saving research using animals. He plans his demonstration for the same day as SPEAK’s national animal rights march in Oxford. A couple of students get in touch with Laurie to offer help in rallying student support, and quickly a group of undergraduates, postgraduates, and Laurie, come together to form the initial Pro-Test committee. With the rally only four weeks away the committee works hard to garner student support and raise awareness of the event in the local and national press. The newly formed press team are instantly bombarded with demands for interviews by local, national and even international radio, TV and print media – the creation of a student movement in support of animal research is unprecedented, especially at a time when public interest regarding animal research is at a high due to acts of animal rights extremism. February 25th 2006 – The day of the Pro-Test march arrives; and the police are out in force should trouble brew between the Pro-Test and SPEAK demonstrators. The media are also ready, with Pro-Test hitting national news in headlines such as “Rival protesters set for bitter clash over animal testing lab”. Pro-Test speakers include: Evan Harris, the Liberal Democrat MP for Oxford; and Dr. Simon Festing, Director of Research Defence Society, and Tipu Aziz and John Stein, Oxford neurosurgeons who were two of the few scientists willing to speak out in support of medical research;. Nearly 1,000 supporters turn out for the Pro-Test rally compared with little over 200 for the SPEAK march. Students and scientists had been given their chance to fight back against animal rights groups in the UK, and they did it admirably, with news headlines of “The Silent Majority Find a Voice” and “Teenager leads fight back against anti-vivisectionists”. 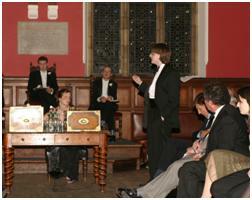 April 2006 sees the Oxford Union, a world famous debating society once hailed as “the last bastion of free speech,” enter the fray when it debates the motion “This House Would Not Test on Animals.” The motion is defeated with over 85% of the union members in attendance voting to defend animal research. Speakers include Lord Robert Winston, Prof. Colin Blakemore (then Chief Executive of the Medical Research Council) and Laurie Pycroft. Final vote: motion defeated 273 – 48 votes. Between the months of March and May, Pro-Test is filmed for two separate documentaries, “Laurie Pycroft: Making of a Teenage Protester”, and the award-winning prime time documentary: “Monkey, Rats and Me”. However the Pro-Test press team is also kept endlessly busy with other requests for interviews, debates and comments – not least when in May, the Gladys Hammond’s body is recovered, followed shortly by the conviction of three animal rights extremists from SNGP (Save the Newchurch Guinea Pigs). Animal Research makes the news once more in May as Tony Blair (then Prime Minister) signs the People’s Petition – a petition organized by Coalition for Medical Progress for those who support animal research. Tony Blair writes an open letter to the Telegraph newspaper (printed on the front page) stating his reasons for signing, which includes lending his support to Pro-Test. The Peoples’ Petition goes on to get over 20,000 signatures by the end of the year. 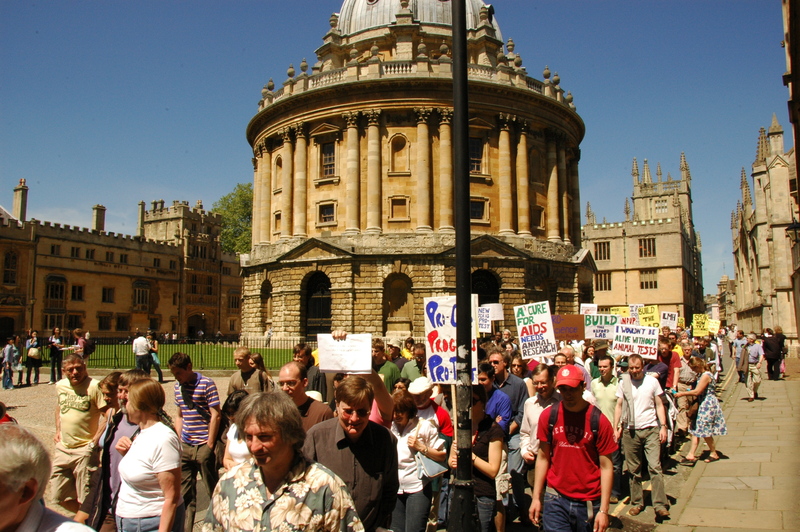 On May 22, 2006, in preparation for Pro-Test’s second rally in June, Pro-Test organizes a public meeting in Oxford Town Hall. The event gives the public an opportunity to meet the Pro-Test committee and to ask a panel of experts, questions about medical research. With the June rally taking place during many students’ exams, there is a change of demographics at this second demonstration. Of the 600 people marching in support for animal research, there are a large number of Oxford residents and scientists among the crowd. Statements of support from the government are read out, and scientists such as Dr. Ken Fleming and Prof. Peter McNaughton, who have not been particularly outspoken on the issue, are cheered through speeches about the importance of standing up for lifesaving science. With animal rights activists briefly forgotten, it is good to see scientists and students speaking openly about the need for research using animals. During September the Independent newspaper declares Pro-Test founder, Laurie Pycroft, to be on their list of 50 “good people.” This list was compiled by some of the top authorities on the activities of charity and welfare organizations in the UK, who commented, “This teenager’s solo act of defiance against animal rights intimidation shamed his elders – including Tony Blair – into standing up to be counted.” This is yet another sign that animal research is becoming more publicly accepted in the UK. In November, Pro-Test members brave the cold to collect 500 signatures in just four days to force an Oxford University Student Union (OUSU – not to be confused with the Oxford Union) referendum on animal research and the still-in-progress Oxford Biomedical Facility. The referendum itself puts over 90% of students in favor of supporting animal research and the Oxford lab, with well over 2,000 votes. January 2007, the New Year has only just arrived and already Laurie Pycroft is making the news again. Eleven judges awarded Laurie the Great Briton Award for campaigning, and congratulated him on his “brave stance against the antivivisection community.” The early months also gives Pro-Test the chance to expand the website, providing more information for those interested in learning the truth about the need for animals in research. A new academic year arrives and Pro-Test sets about recruiting more people at the Oxford Freshers’ Fair. Huge popularity makes the Pro-Test stall one of the busiest, and over 700 people signed their support for the Oxford Biomedical Facility and the life-saving medical research within. From October 2007 through to 2008, Pro-Test expands its “Book-a-Speaker” program, travelling to Oxford, Hertford, St. Albans, Stoke-on-Trent, Brentwood, Wigan, Cambridge and Edinburgh among other places, to give presentations and participate in debate against the likes of EMP (Europeans for Medical Progress) and PETA (People for the Ethical Treatment of Animals). Pro-Test also enjoys debates at a number of universities including: University of Birmingham, Aberdeen University and Southampton Solent University. What becomes obvious is that students of all ages are beginning to openly support animal research in a way that many previous generations of students had not. 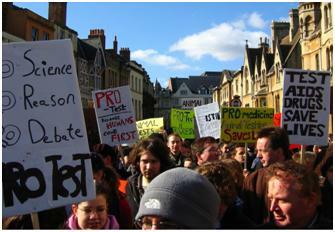 February 2008, two years since Pro-Test’s first demonstration, students are once again on the streets of Oxford declaring their support for the nearly finished Oxford lab, and for the scientists who use animals in their research for the medicines of tomorrow. The mood is different for this march. There is a sense of victory in the air, with the lab approaching completion, public support for animal research at 90% (an all time high), and many more scientists speaking openly about their research. The climate of fear hanging over Oxford has been lifted. In November 2008, the Oxford Biomedical Research Facility opened its doors, providing better facilities for scientists and better welfare for animals. The laboratory will help develop new treatments for cancer, leukaemia, heart disease, HIV, arthritis and diabetes. In February 2011, Pro-Test celebrates its five year anniversary. Five years of combating misinformation, five years of talks and interviews, five years of helping to change public attitudes. At the event Pro-Test announces that it is closing its UK operations having succeeded in its original goals. 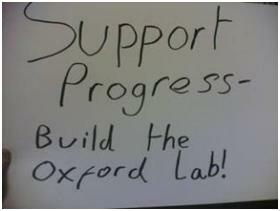 The Oxford lab is built. Public attitudes have continued to trend towards support for research. Scientists are not living in fear for animal rights extremists (most of whom have been locked up over the last 5 years). Mission accomplished.